Learn about the Jewish High-Holidays and practice the age-old rituals among thousands of Chassidim in the presence of their beloved Rebbe. As captured by newscasters’ cameras and archival films, Tishrei with the Rebbe is masterfully edited into a colorful mosaic. 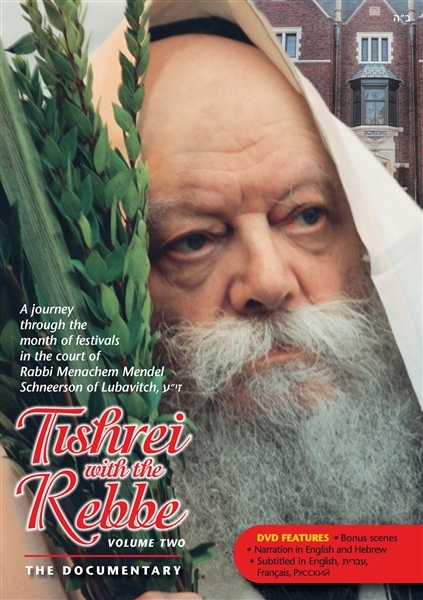 From solemn moments of prayer to the ecstasy of Chassidic celebration, the sights and sounds of tradition come alive in this poignant and illuminating documentary. DVD Running Time: 97 minutes plus 24 minutes of bonus footage.